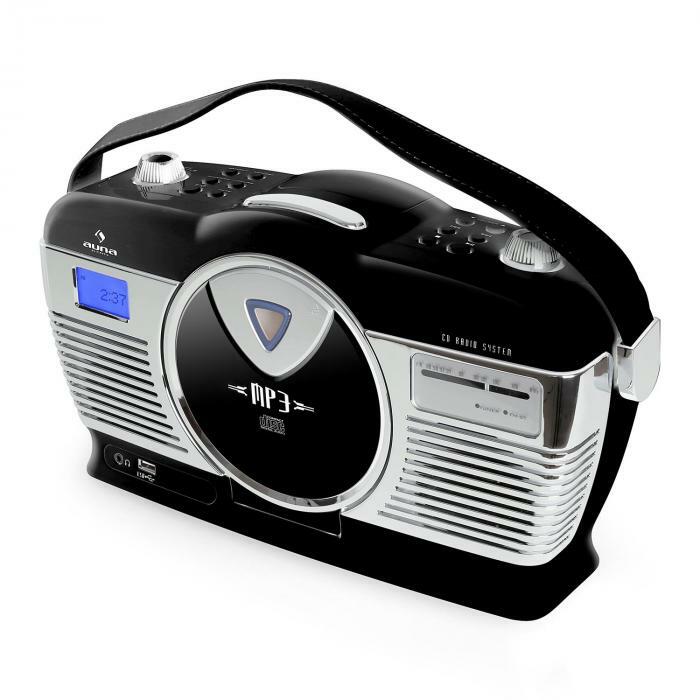 The Auna RCD-70 portable radio offers contemporary functionality packaged in an attractive vintage-style housing. 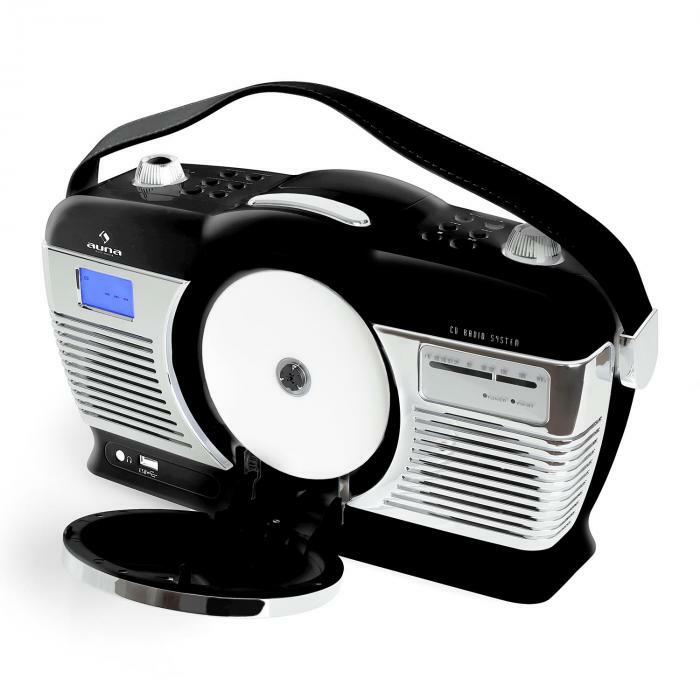 For traditional music listening options, the radio features an analogue FM radio tuner and a front-loading CD player. 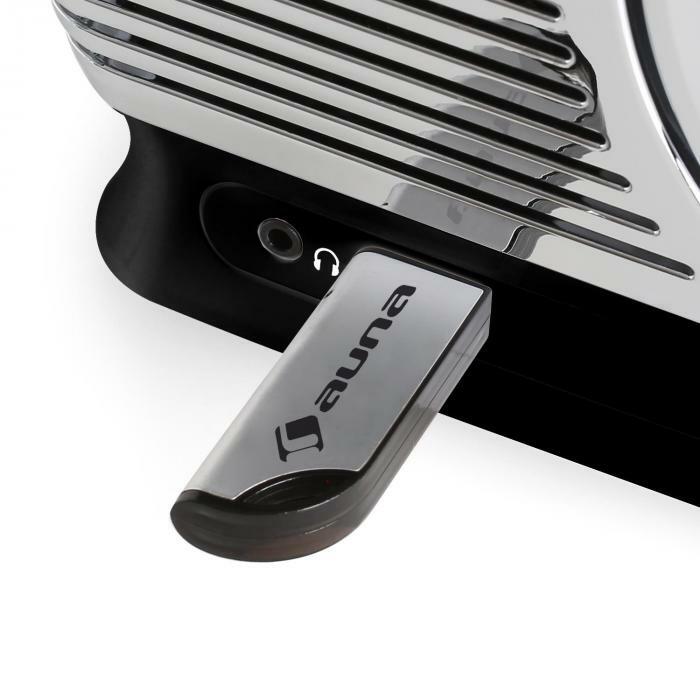 Not only does this play standard audio CDs, it is also compatible with MP3 CDs. 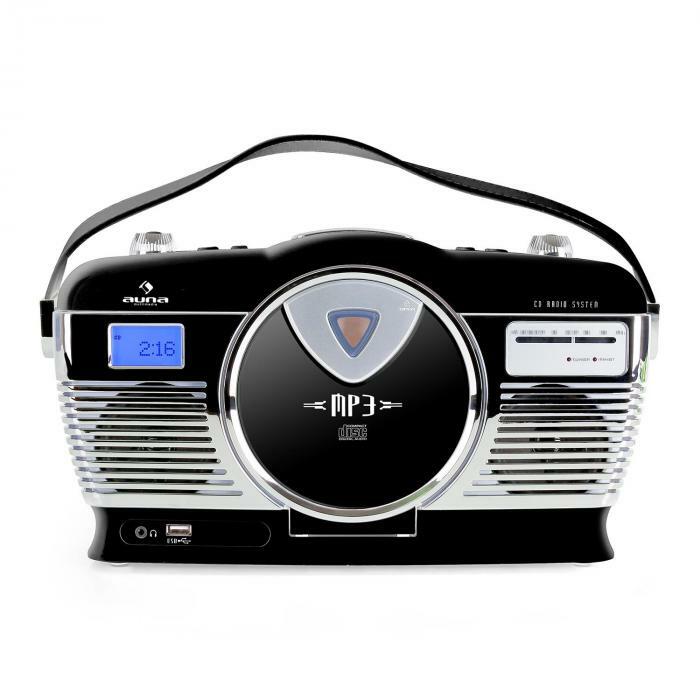 The radio's bridge to modern functionality comes via the USB port, allowing you to play MP3s from external storage devices such as USB sticks and MP3 players through the built-in broadband speakers. 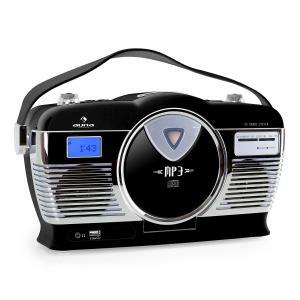 A built-in clock makes the retro radio a reliable alarm clock, allowing you to choose your alarm from a USB stick, CD, radio, or buzzer. 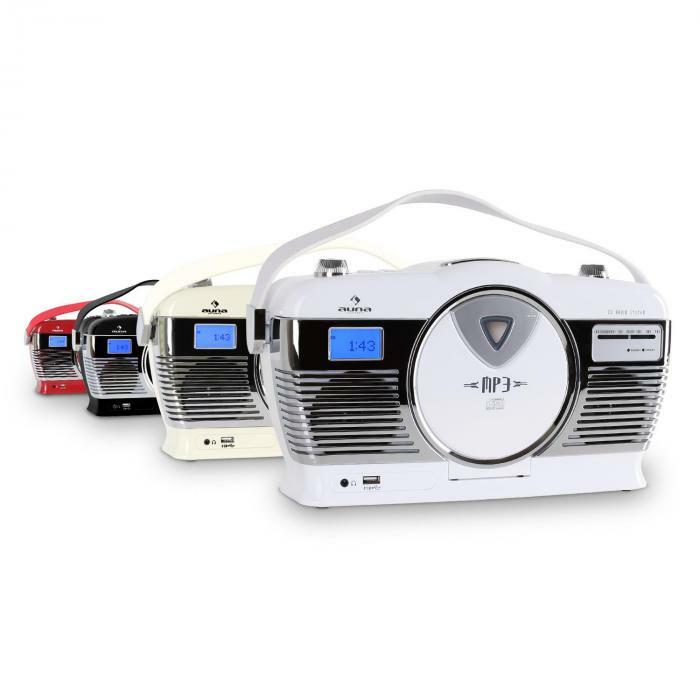 The Auna RCD-70 may be powered via mains or batteries, allowing you to take the radio with you to the park, the garden, or while traveling so that you can listen to your favourite music wherever you go. 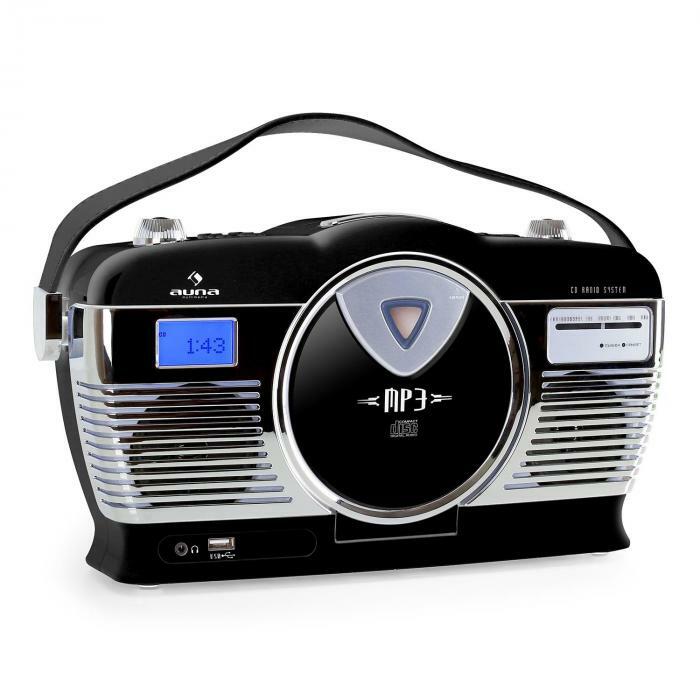 If you are in an environment where others don't necessarily want to hear the radio, the unit features a separate headphone jack for individual listening. 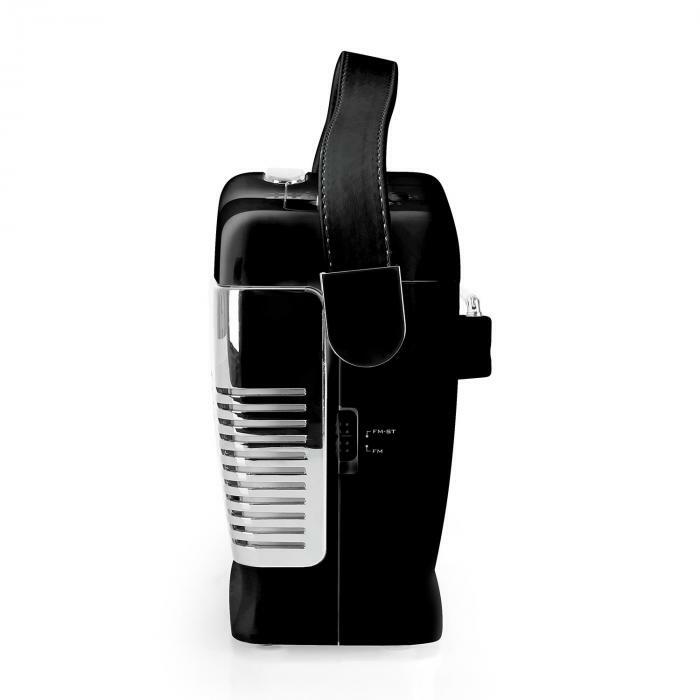 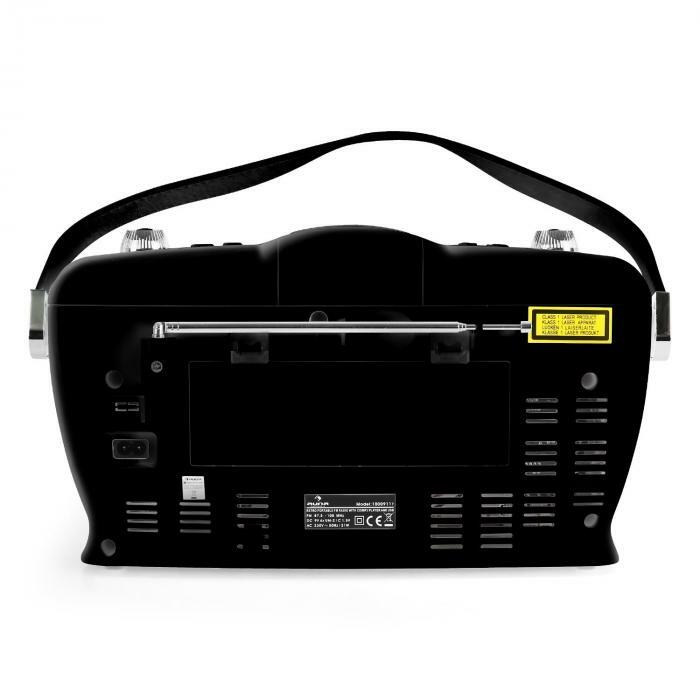 The compact case makes for easy transportation, while the carrying handle adds to the portability of the device.